The personalised candy chocolate eggs 25 gram bag is an option that is different to what you normally see around Easter. These Easter Eggs have a candy outer shell with a milk chocolate centre. Absolutely delicious. 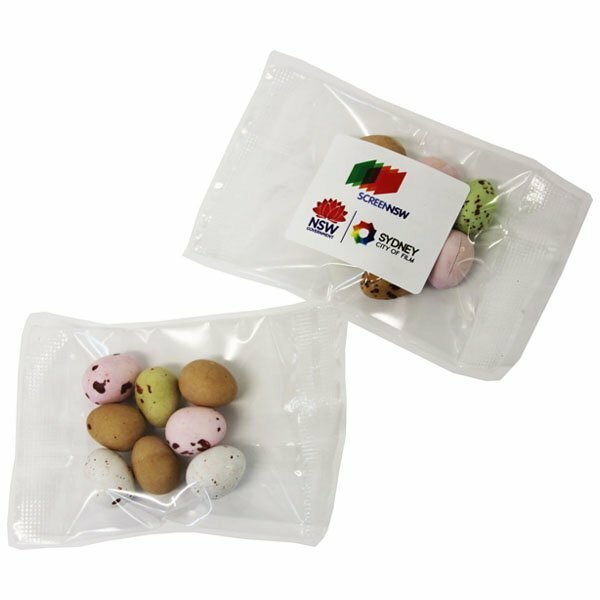 The promotional Candy Chocolate Eggs 25 gram bag makes a great promotional tool not only during Easter, but all seasons all year long. 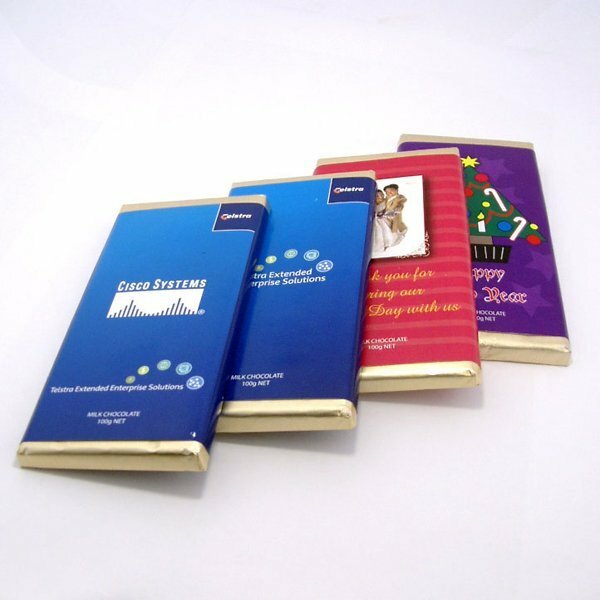 It’s a nice gift that you can give out to your staff, clients, and suppliers. It’s also a great advertising medium that you can employ when you go to trade shows and business conventions. The printed candy chocolate Eggs 25 gram bag contains 25 grams worth of chocolate delights, or approximately 8 chocolate eggs. These chocolates are in the shape of little quail eggs and are covered with a sugary candy shell. We’ve also made the eggs look more interesting by diversifying the colours and patterns in the shell. The packaging is 85mm in width and 65mm in height. It can have an advertising print of your own custom design. The allowance for the space of the print is 50mm in width and 40mm in height, of which will be done through a full colour sticker. We recommend that you put the logo of your company in every custom design that you will have. 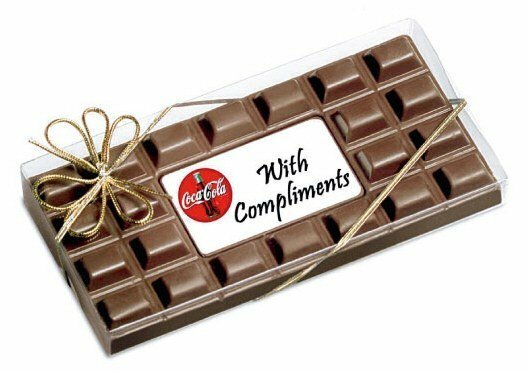 It would also be a plus if you can add a special message that’s in line with the occasion. A message like “Happy Easter” would bring much delight, while a short message of personal thanks would certainly be much appreciated. If you want the same candy chocolate eggs but presented in a plastic box, try the branded Candy Chocolate Eggs 30 gram hard Plastic Cube. Or if you want them presented in a noodle box type of packaging, the personalised Mini Solid Easter Eggs Frosted Noodle Box is a must. If you are also in the market for custom printed caps or headwear generally, then once you’ve finished shopping here, do come and visit us at Fast Caps. If your promotional is likely to be linked to an Australian theme then perhaps start by looking at our promotional Matilda Cap. It’s one of hundreds of options we have. On this website is a chat application that you can access in case you want to contact us. Just hop on that chat box and shoot your message. Or if you prefer to call, our hotline is 1300 008 300.